There is an art to caramelizing onions. Okay, maybe just patience. It takes time to get onions to caramelized perfection and it’s totally worth it. Give onions the time they need to go through the stages: 1) translucent, 2) blonde, 3) golden, and 4) caramelized. Peel the onions, cut them in half and then dice into about ¼ inch pieces. Heat up the oil in a large frying pan or wok and add the onions. Cook at high heat stirring every 3-4 minutes until they begin to show a light brown color (approximately 20-30 minutes). They will sweat and begin to reduce in volume. Turn the heat down to medium and continue cooking while stirring frequently until they are a dark golden brown. They will considerably reduce in volume (20-30 more minutes). If they stick to the bottom of the pan, add a tablespoon or two more of oil. 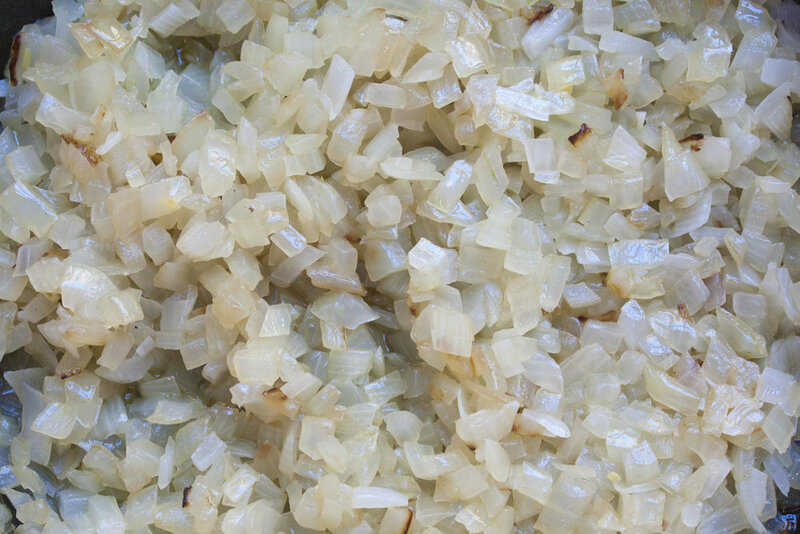 Store the caramelized onions in an airtight container in the fridge for a little over a month! Make a caramelized onion purée by adding to a food processor & pulsing until smooth.